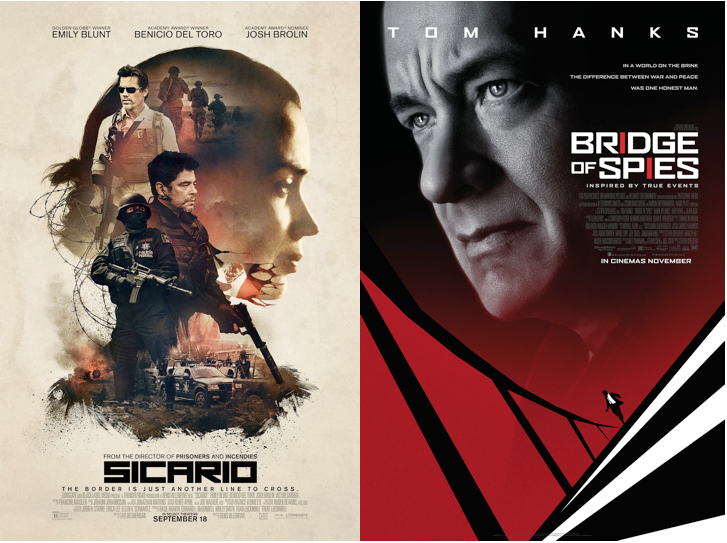 Novice screenwriter Matt Charman penned the original script for Bridge of Spies, which was later revised by Hollywood heavyweights Joel and Ethan Coen. According to Charman, he discovered the story in a footnote tied to a brief mention of President John Kennedy sending Donovan to negotiate with Cuban revolutionary, Fidel Castro. 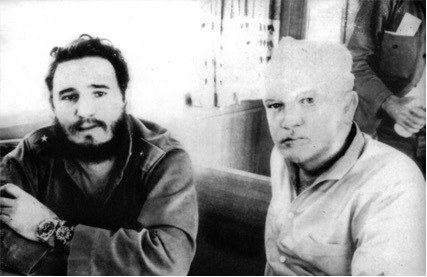 Charman chose the story in the footnote, but the causes and consequences of Donovan’s negotiations with Castro make for a similarly fascinating history that has been equally forgotten. After the ill-fated Bay of Pigs Invasion in April 1961, Castro’s forces captured about 1,200 counter-revolutionaries and held them prisoner. Taking responsibility for the failed coup attempt, President Kennedy and his brother, Attorney General Robert Kennedy began working through backchannels to secure release of the prisoners. 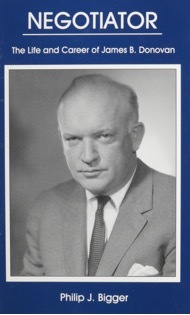 According to Donovan’s biography, when a leader of the Cuban Families Committee for the Liberation of the Prisoners of War (CFC) approached the Attorney General for help, Bobby replied, “What you need is a man who knows how to deal with Castro.” Fully aware of Donovan’s work securing the release of Powers, Kennedy believed Donovan was the right man for another sensitive Cold War mission. In late August 1962, Donovan visited Cuba and, after a short while, he and Castro settled on the basic parameters of a deal – the prisoners in exchange for medicine and baby food. The Cuban leader desired approximately $50 million worth of U.S. drugs, but Donovan quickly settled on a compromise wherein that would represent the retail value, and not manufacturing costs, of the donated medicine. As a former insurance lawyer, Donovan had connections with the pharmaceutical industry and originally approached executives from Pfizer and Merck to fulfill the order. However, that deal and the overall negotiations with Castro broke down amid the Cuban Missile Crisis in October. Returning to the negotiating table in November, Donovan finally secured an agreement with Castro. All that remained was for the Kennedy administration to convince the pharmaceutical manufacturers to contribute the goods. That would be no small feat. The fall of 1962 was an important moment in the history of U.S. pharmaceutical regulations. During the previous few years, Senator Estes Kefauver doggedly pursued tighter control of the industry, focusing most of his attention on manufacturers’ steadily growing profits. Despite his reformer’s zeal, Kefauver’s legislation languished in Senate committees until news of the thalidomide tragedy broke in the summer of 1962. Reading reports of the drug causing birth defects across Europe, the American public demanded more government action to ensure the safety of their own medicine and reinvigorated Kefauver’s efforts. While Kefauver’s compulsory licensing policy and other cost-cutting provisions were expunged from the final bill, the legislation still mandated a full FDA review of investigational drugs. At the same time, the newly coined concept of “drug abuse” drew more attention to the misuse of non-narcotic pharmaceuticals, especially amphetamines and barbiturates. In October, Kennedy signed the Kefauver-Harris Amendments into law and legislation to strictly regulate amphetamines and barbiturates appeared not far behind. Despite this bleak prognosis, the industry and its chief representative, the Pharmaceutical Manufacturers Association (PMA), spotted a way out of the situation when Donovan’s deal came to fruition. Facing mounting criticism and still licking their wounds from the battle over the Kefauver-Harris bill, the PMA now had a seat at the bargaining table and seemed to hold all the chips. As the PMA’s chief counsel, Lloyd Cutler recalled, “We had been very seriously attacked by Senator Kefauver.” So when Bobby Kennedy and Donovan met with the PMA in December, Cutler not so subtly reminded them that the PMA “expected the Kefauver compulsory licensing issues to come up again in the future Congress.” Cutler insisted the PMA neither sought nor received any special assurances about future licensing legislation, but the Kennedy administration did take other steps to sell the manufacturers on the deal – providing tax deductions for the donations and guaranteeing no anti-trust actions would be taken based on price lists shared by the companies. Accepting those assurances, more than a dozen drug companies committed to donating drugs and, with the first round of shipments headed for Cuba, the majority of Bay of Pigs prisoners returned home just in time for Christmas. This was another successful diplomatic deal for Donovan, but, as many scholars have noted, the major pharmaceutical companies have never faced the patent limitations and licensing provisions pursued by Kefauver. Instead, drug patents have been extended and “me too” drugs proliferate. 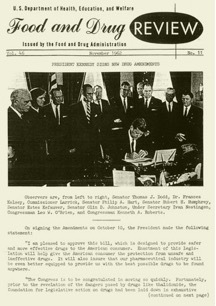 The agreements made between the Kennedy administration and the Pharmaceutical Manufacturers Association portended this future. Understood in relation to the regulation of illicit pharmaceuticals, however, the Donovan negotiations and PMA deal also foreshadowed federal priorities in our modern War on Drugs. In the short term, the Kefauver-Harris Amendments gave the FDA vast new responsibilities to ensure both the safety and efficacy of pharmaceutical drugs. With its budgets already booming, the FDA’s authority further expanded in 1965 after the passage of the Drug Abuse Control Amendments. Temporarily taking on a new role in drug policing and the strict regulation of manufacturers and dispensers – all the way down to the individual physician or pharmacist – the FDA still worked closely with the major drug manufacturers. For example, Smith, Kline and French (SKF) manufactured Benzedrine, the original prescription amphetamine. They also produced and printed two editions of Drug Abuse: A Manual for Law Enforcement Officers, which the FDA used to train local and state police, and even its own agents. Not surprisingly, the manual directed most of the officers’ attention towards those who abused SKF’s otherwise valuable medicines. During its brief tenure, the FDA’s Bureau of Drug Abuse Control did prosecute unscrupulous drug manufacturers and its agents seized tens of millions of doses of amphetamines and barbiturates. By 1968, however, Congress merged the Bureau of Drug Abuse Control with the Treasury’s Bureau of Narcotics and moved all operations to the Justice Department, bringing the authority to regulate prescriptions squarely into the field of illegal drug policing. Overriding all previous federal drug legislation, the Controlled Substances Act of 1970 scheduled degrees of regulation for all drugs based on government classifications of their medical use and potential for abuse. With ample assistance from professional lobbying groups and sympathetic Congressmen, that scheduling system enshrined the relationship between pharmaceuticals and illegal drugs – leaving the makers of the former to flourish on Wall Street and the users of the latter to flounder in jail. In fact, as at least one historian has noted, the final version of the CSA had five instead of four schedules, adding what critics dubbed the “Roche schedule” for the manufacturer of Librium and Valium. During the past decade we have witnessed the consequences of an overweening government focus on policing illegal dope while politically powerful pharmaceutical companies are left to produce and sell pills as fast as doctors can prescribe them. While the precise connection remains in some dispute, more and more observers have recognized the close relationship between the misuse of pharmaceuticals and illegal drugs. Historians must continue to study similar connections in the history of drug policy; bringing events like Donovan’s negotiations, the regulation of pharmaceuticals, and the politics of the War on Drugs into closer conversation. On a broader scale, historians must continue exploring how political decisions about the economics of drug regulation set the stage for the violent black-market madness seen in Sicario. In the meantime, the ultimate significance of Donovan’s deal with Castro and the precise nature of Kennedys’ negotiations with the PMA still await a detailed study and may never be known. But if Mr. Spielberg is looking to make a sequel and needs another novice screenwriter, I would be happy to volunteer. The Coen brothers can even handle the compromised second draft.